NOAH is a U.S. based nonprofit, tax-exempt organization that offers information and support to people with albinism, their families and the professionals who work with them. NOAH is operated by its members on a volunteer basis and is funded primarily by dues and contributions of its members. NOAH has also received grants from foundations and organizations for specific projects. NOAH’s board of directors and many members are involved with specific committees and projects that address a wide variety of issues relevant to the albinism community. Committees include advocacy, NOAH’s biannual conference, financial development, albinism awareness, and editorial. For more information about these or other endeavors that you might be interested in getting involved with, please email info@albinism.org. Provides information and support regarding albinism and related conditions. Encourages research and funding that will lead to improved diagnosis and management of albinism. Provides networking for those with special interests related to albinism such as minority groups and Hermansky-Pudlak Syndrome. 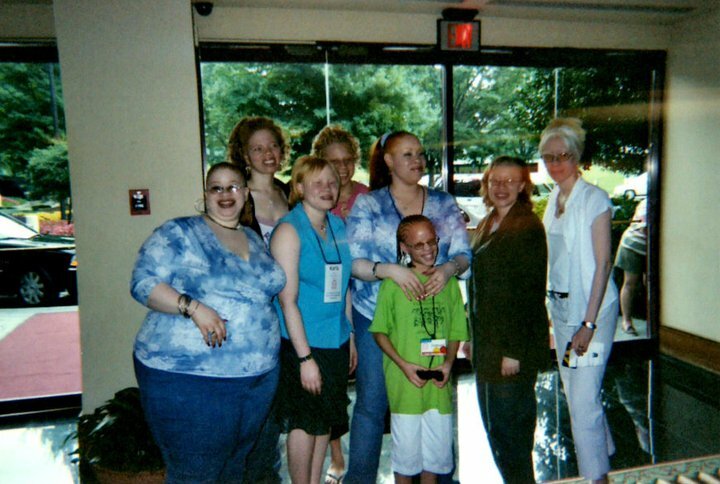 Sponsoring workshops and conferences on albinism. Publishing information bulletins on topics specific to living with albinism. Provides a network of local chapters and contact people. Providing a web site that has information about albinism and bulletin boards where people can share experiences. Spreads knowledge about albinism and works to improve attitudes towards those with the condition through television appearances, newspaper articles, information packets for libraries, and outreach to professionals. Networks with support groups for people with albinism in other countries, and promotes development of albinism support groups throughout the world through participation in the Albinism World Alliance. NOAH is a volunteer organization for persons and families involved with the condition of albinism. It does not diagnose, treat, or provide genetic counseling. It is involved in self-help, while trying to promote research and education.